We are proud to support Shipston Home Nursing, our local Hospice care at home Charity. TALTON MILL is an oasis away from the city – all things natural, rustic and charming. If you want to escape to the countryside to re-charge and relax then it is the perfect destination. The ARTISAN CAFE in The Mill Woodhouse provides a welcome retreat from the hustle and bustle of life. It is open as a cafe every Friday and Saturday from 9.30am to 4.30pm. It is the perfect place to unwind whilst enjoying breakfast, brunch, lunch or afternoon tea. It is situated alongside the old mill stream amidst glorious countryside – tranquil and heavenly. Homemade cakes, Monsoon coffee, speciality teas and home cooked meals using our own farm-reared meats await you! The monthly SUPPER CLUB at Talton Mill is very popular. 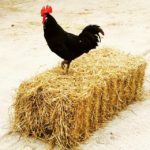 It features a different culinary theme each month using Talton’s own free range, home-reared meat and locally sourced vegetables. The fire pit is lit outside and in the summer guests can make use of the outdoor canopy and gardens alongside the millstream. Most supper nights have live music too… depending upon what can be organised and depending upon the event. Pre-booking is essential. The GIFTWARE SHOP is situated in The Mill Woodhouse also. You can browse a range of kitchenware, giftware, artisan candles, pottery, pictures, prints and cards. WORKSHOPS AND COURSES take place at Talton Mill too. Learn new crafts and skills in the indoors and outdoors. 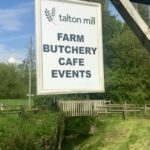 The award winning TALTON FARM BUTCHERY also open every Friday and Saturday from 9am to 4pm. Selling home reared chicken, beef and pork and locally sourced local lamb and game plus a variety of cheeses and homemade pies. The land has been farmed for 2 generations and Talton has become renowned for the high quality of our meats throughout the county. 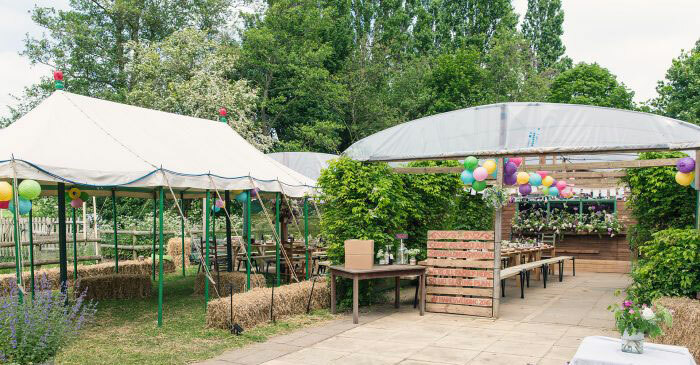 If you are looking to hold a SPECIAL EVENT or occasion be it a wedding, party or a gathering of family and friends in a natural green, eco-friendly non-manicured, down to earth haven, then TALTON MILL is the right place. 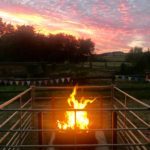 Perhaps you dream of a small family BBQ party in a magical woodland alongside a mill pool, or a wedding party inside a perfectly rustic wood house with a canopy extending into pretty gardens alongside the mill stream. Or maybe you would simply like to get a small group of folks together for a tea-party, a barbecue, a sausage making demonstration or a memorable occasion in a truly memorable place. Talton Mill has venues to make these dreams happen any day of the week, all year round. You can find Talton Mill in Newbold-on-Stour, just five miles south of Shakespeare’s Stratford Upon Avon, CV37 8UG.